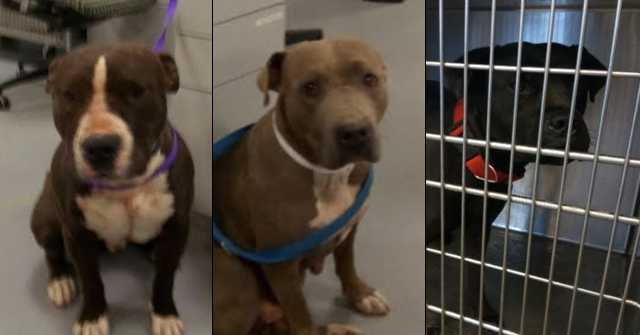 San Francisco, CA - In September, the San Francisco affiliate of NPR, KQED, ran a segment about the Canine Combined DNA Index System, a DNA database of pit bulls seized in dogfighting raids. The American Society for the Prevention of Cruelty to Animals (ASPCA) helped establish the database, which they dubbed the "Canine CODIS,"1 and hopes that it will help authorities connect dogfighting investigations across the country by creating multi-jurisdictional collaboration. Interestingly, and what may prove to be a showdown between several national animal groups -- the ASPCA vs. Best Friends Animal Society and Animal Farm Foundation -- the database comes with a hitch. Presently, the most trusted dog DNA testing company, the Wisdom Panel, states on their FAQ page, "Due to the genetic diversity of this group, we cannot build a DNA profile for the Pit-bull." But with the advent of the database, building this DNA profile will become possible. Pro-pit bull groups do not stand to benefit from this. Currently, such groups are free to clamor, "BSL does not work because it is impossible to identify a pit bull." Once the pit bull DNA profile is built, this false argument, which was adopted by pro-pit bull groups in the mid 1980s, will be finished for good. When the database was announced back in June, Ed Sayres, the President of the ASPCA wrote in a blog post, "It is not intended to provide a profile of specific individuals for purposes of breed identification and cannot be used in that way." But according to who, the "Sayres Department of Justice" or the U.S. Department of Justice? After stealing the name "CODIS" from the Federal Bureau of Investigation and slapping "Canine" in front of it -- CODIS was invented to help federal, state and local crime laboratories solve violent crimes against humans -- Sayres is going to tell the U.S. government exactly when the technology can be used and under the guise of "the protection of animals and people alike?" Ledy VanKavage, a hired lobbyist for Best Friends -- who formerly worked for the ASPCA -- is interviewed in the KQED segment. After months of spreading the egregious falsehood that a municipality with a pit bull law, such as the City of Denver, is responsible for the cost of a DNA test when determining if dog is a pit bull, and related falsehoods, such as, "DNA testing is the only concrete way to determine the dog's breed," VanKavage flip-flops in the NPR radio segment. Concerning the database, VanKavage states, "I'm not convinced that this is a good thing for dogs," and "If DNA was the be all and end all, all of Secretariat's foals would be champion and win the Triple Crown. They don't." 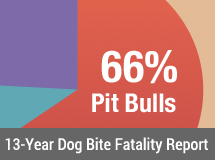 Prior to the dogfighting database, VanKavage had the luxury of confusing lawmakers about the reliability of a pit bull DNA test and promoting the BSL fiscal calculator, which falsely assumes that the cost of a DNA test would fall upon a municipality. [NPR]: Still, the dogfighting database makes some people very nervous, for example, Led VanKavage. [VAN]: I'm not convinced that this is a good thing for dogs. [NPR]: VanKavage is an attorney for the Best Friends Animal Sanctuary in Kanab, Utah. She's also the owner of Karma, a pit bull whose DNA is in the database. Karma was a fighting dog. She was rescued from the 2009 Missouri bust. By VanKavage's account, she's turned out to be a wonderful pet, whatever her DNA might suggest. [VAN]: If DNA was the be all and end all, all of Secretariat's foals would be champion and win the Triple Crown. They don't. [NPR]: VanKavage worries that the genetic information could be like a scarlet letter on the dogs, precluding even the gentle ones from being adopted. Companies could refuse to sell homeowners insurance to people who adopt former fighting dogs. That would be unfair she says, because like with people, DNA is not destiny. [VAN]: We are not a prisoner of our genetics. Each dog like each person is an individual. And should be judged on their own character. Not a Good Thing for Dogs? VanKavage's first flip-flop, "I'm not convinced that this is a good thing for dogs," is seen in her own conflicting statements as recently as June 7. The ASPCA announced the dogfighting database on June 15, thus we found no statements by VanKavage after this time that promoted DNA use. Once forced to reckon with the reality of a pit bull DNA profile being built and that this data could be used to help enforce pit bull laws, VanKavage & Company had to change tune. If a city outlaws a “breed,” they have the burden of proving that a dog is of that heritage. Now, with DNA testing, it's possible, but expensive. The cost of DNA testing ranges from $125-$160 per dog. Economics matter to politicians and taxpayers, especially in the current economy. Best Friends Animal Society wanted to find out what the real costs of enacting a breed-discriminatory law were, so it hired economist John Dunham2 to find out. "We hired an economic firm out of New York to run the figures in the United States for every major city and all the states," Ledy VanKavage, a lawyer for Best Friends Animal Society in Utah, told me. VanKavage, who lives in Maryville, Ill., said it is difficult to determine what constitutes a pit bull, which actually is not a breed at all. "I teach a lot of police training programs at universities and show a photo array of 20 dogs. I only had one recruit get it right, and I've taught over 3,000." That's why DNA testing is the only concrete way to determine the dog's breed. VanKavage says many cities have discovered it's difficult and costly to enforce. Part of that cost that falls on local governments, is proving the dog is a pit bull mix. If a dog owner argues that the dog is not a pit bull, the municipality has to pay for DNA Testing. "Fiscally it doesn't work, and with DNA, it is a whole new ball game," VanKavage said. VanKavage uses Secretariat's foals in the KQED segment as a comparison. Yet, Thoroughbred breeding is the archetype for intensive breeding for function. Bloodlines (genetics) in Thoroughbred racing are golden. In 1992, Secretariat was given the award of "Leading broodmare sire in North America" after siring a string of broodmares who foaled winners. Northern Dancer, a Canadian-bred Thoroughbred racehorse, is recognized as founding a "racing dynasty." Humans have had success for centuries, probably millennia, in breeding specialized animals simply by selecting the best performers at some task we’d thought up for them -- be it dogfighting, racing, or just producing more meat for each pound of total live animal. Aside from the fact that Secretariat and Northern Dancer did indeed sire entire lines of winners, all that’s happening now is that we’re starting to identify the specific genotypes that we previously selected by trial and error. It’s no wonder that the pit bull community chose the horse as a way of diverting attention from the fact we’ve all known for centuries -- that selective animal breeding most certainly does produce hereditary physical and behavioral characteristics. After all, we already knew that a specific genotype is a good predictor of success in racing whippets, not a thing the pit bull fans would want to draw attention to. It’s ironic that the horse they chose as their red herring has now turned out to have identifiable genotypes that do indeed predict performance at complex behavioral tasks. Denying the relevance of heredity and genetics is becoming more and more ridiculous in this day and age. The destiny phrases used by VanKavage in the KQED segment, such as, "DNA is not destiny," likely stem from a 2006 study with the same name, which introduced the science of epigenetics. Nearly all dog breeders, the UKC, AKC and every book written about dog breeding -- which is defined as the practice of mating selected specimens with the intent to maintain or produce specific qualities and characteristics -- would categorically deny VanKavage's theory. As demonstrated in a recent Tails Inc. article, VanKavage's theory is a merely a response to fear. Concerning the database, VanKavage states, "DNA is being used in ways we never fathomed. Say they find some genetic marker that suggests the dog might be predisposed to aggression. Then that information could be used to declare the dog, even the breed, as vicious. It could be used to create the kinds of breed-specific bans we’ve been working so hard to combat." This is only a matter of time. In 2002, the specific brain dysfunction behind the explosive aggression the pit bull has been bred for was identified. In 2006, it was shown that this brain dysfunction -- which has the same effect in all mammals that suffer it -- is strongly heritable in dogs. This means that centuries of selection based on performance at the task of baiting bulls and bears and killing other dogs in the pit has functioned as an indirect genetic selection for unpredictable explosive, unbridled aggression. In other words, it has already been firmly established that this behavior has a genetic basis. Even if VanKavage and her friends succeed in stopping research in the United States, they’d have to have a stranglehold on the entire world-wide scientific community to prevent identification of the genotype associated with impulsive aggression in dogs from happening -- and soon. The big question is why VanKavage would want to prevent this. You’d think she and her cohorts would be greatly pleased to be able to identify which pit bulls do and which don’t carry the genes that underlie this pathological explosive aggression. This would enable the fans to start breeding only pit bulls that won’t pass the brain disorder on, thus completely circumventing the need for BSL within just a few years. It would also mean we could stop euthanizing ‘innocent’ pit bulls, because we could indeed identify which individuals were likely to viciously attack in future, thus only euthanizing dogs that present a high genetic risk. Why isn’t VanKavage interested in the pit bull lives such progress might save? When the genotype is identified -- and this is inevitably going to happen -- it might well turn out that 90% of pit bulls carry the nasty genes. Even so, this wouldn’t necessarily lead to BSL beyond a demand not to breed pit bulls that do carry the nasty genes. Why would VanKavage et al be opposing this kind of insight? It makes one wonder whether their goal is to preserve the pit bull as a peaceful household companion, or whether it’s really to preserve fitness for dogfighting and scaring one’s neighbors. While creating this post we ran across yet another distortion by VanKavage who takes credit for funding the BSL fiscal calculator, but was actually funded by the National Canine Research Council (NCRC), an entity owned by Jane Berkey of Animal Farm Foundation (AFF). The news release of the far-fetched calculator states in no uncertain terms who funded it as does the Best Friends website. So why would VanKavage say, "We hired an economic firm out of New York..."
Dunham noted what he called “an amazing paucity of real data on pets in general” in the United States, which is one of the reasons for the study, funded by the National Canine Research Council. This question led us to the 2008 tax records of AFF, which show that VanKavage is a board member (See: 2009 990-PF). The records also show that AFF provided $27,500 to the lawyer representing Sonya Dias in her case against the City and County of Denver. The Dias case was initially dismissed but continues to lurch on. The point is, VanKavage is the leading vocalist of the anti-BSL movement in the U.S. and Berkey's private wealth and Best Friends empower her voice. It must also be pointed out that the 2008 tax return -- which was not filed until May 2010 -- shows that VanKavage resides at "51 Odom, Collinsville, NY 62234." Yet, no such address exists, at least not in the State of New York. VanKavage operates out of Illinois, is employed by Best Friends of Utah and lists a New York state address on the document. 51 Odom, Collinsville is a location in Illinois that VanKavage listed as her residence during the 2007 to 2008 time period. In conclusion, it should be clear to readers that just a few hands from special-interest groups are attempting to shape public policy regarding breed-specific pit bull laws. It is important for you to know who owns these hands: Ledy VanKavage of Best Friends and AFF and Jane Berkey4 of the NCRC and AFF. To underestimate the combined power and financial resources of these two women would be an error. Not to mention their cult-like worshipping of pit bulls. Ledy VanKavage and Jane Berkey. 1It is a grave insult to human beings, particularly to persons brutally assaulted and killed in violent crimes, for the ASPCA to anthropomorphize the FBI's national CODIS system as a "doggie" CODIS system. DogsBite.org is left wondering if the database is nothing more than a fundraising tool -- with little or no scientific value. The related UC Davis webpage is also quite disturbing.2John Dunham, the president of John Dunham & Associates, was previously the senior U.S. economist at tobacco giant Philip Morris. Dunham's group may be best known for its "academic" studies undertaken on behalf of Philip Morris. 3A passage from OpenHouse breeders that discusses pit bull fighting bloodlines (Gr. CH means Grand Champion and ROM indicates Register of Merit): "The most famous of all the Hollinsworth dogs is Dolly (ROM.) When she was bred to Gr.Ch.Yellow (ROM) she produced Southern Kennels Grand Champion Mayday (ROM), Southern Kennels Ch. Choice, Southern Kennels Ch. Dragon Lady (whose first 2 never hit the 40 minute mark & 3rd went 2 hours 10 minutes with NO out of holds and NO turns), and Southern Kennels Madonna (1x) who lost all teeth in a kennel accident. Gr.Ch.Mayday (ROM) is her most famous offspring and has had a HUGE impact on the dogs of today." 4Jane Berkey is the daughter of Joseph Saul and sister of Andrew Saul. Unlike the Joseph E. & Norma G. Saul Foundation of her mother and late father and the Denise and Andrew Saul Foundation of her brother, who offer grants to numerous community organizations including child health care, cancer, the arts, universities and Jewish organizations, Berkey appears to only shovel her inheritance into the preservation of the pit bull breed. "I have met Lucas, Michael Vicks prize fighter. Lucas is court ordered to never leave the sanctuary. When I was there his care giver mentioned that they did a DNA test on him and he has cocker spaniel mix in him." Ledy knew full well those tests are a crock all along, yet, makes comments like its a "whole new ballgame" and scaring municipalities with the costs. As soon as she got wind of a possible pit bull genetic profile, she shut her big mouth up! And Ed Sayres, what an idiot. Once you gather enough dna samples, you have the makings of a pit bull profile. He's talking out of both sides of his mouth. If they can prove that this dog is related to a fighting pit bull of known lineage, they have just identified the breed. "I've been involved in many legal cases involving fatal dog attacks (possible lie) and certainly it's my impression that these are generally cases where everyone is to blame. 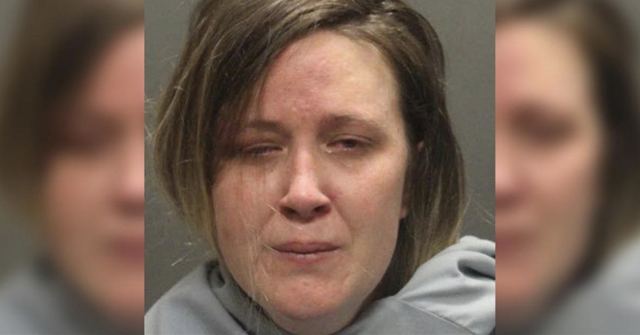 (The crescendo starts) You've got the unsupervised three-year old child wandering in the neighborhood (lie), killed by a starved (lie), abused (lie) dog, owned by the dogfighting boyfriend (lie) of some woman who doesn't know (blaming the mother) where her child is. (The crescendo increases) It's not old Chep sleeping by the fire that suddenly goes bonkers (lie)." The truth is — and Bledy darn well knows this — it's nearly always a FAMILY dog; the incident happens in the family's HOME or YARD; the dog is in GOOD HEALTH; while the owner of the KILLER pit bull often is the BOYFRIEND, this boyfriend is NEVER a dogfighter (with the exception of John Colby) and lastly, Chep, the family pit bull with no history of aggression, often is the killer! Just ask Savannah Gragg's parents. So, Bledy and fruitcake Jane Berkey, wearing a t-shirt reading, "I love pit bulls and I vote," are shaping public policy through pro-pit bull junk science calculators and reports just like the tobacco industry did. What's next on their agenda? "Mice study shows that mice pack a meaner bite than pit bulls."? "I love pit bulls and I vote,"
It is also no coincidence that this Animal Farm Foundation and these people are using tobacco industry lobbyists and hacks to come up with fake statistics and propaganda. Rick Berman of the Center for Consumer Freedom has been a tobacco industry lobbyist for many years. CCF and Berman also lobby for dog breeders, especially puppy mills, pet stores that sell puppy mill puppies, the AKC which is dependent upon puppy mill registrations to survive, and dog fighters and that milieu. The strange thing is that Berkey and VanKavage and Berkey's other puppets are destroying the world for pit bull breeders. Berkey at al. 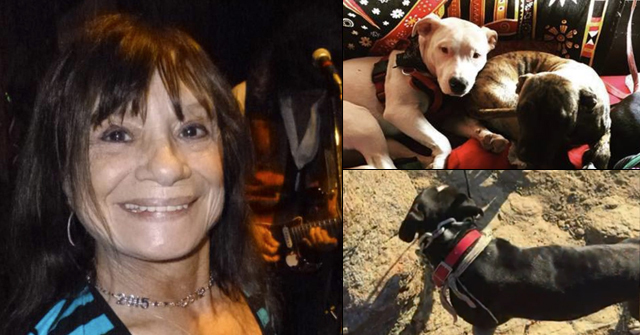 advocate putting pit bulls in family homes, and the inevitable result is gory attacks that make the headlines and dead children and family pets. The growing public outrage ensures antipathy against pit bull enthusiasts and more regulation, no matter how much propaganda is concocted. There is also greater scrutiny on breeders, liability for the dogs they breed, and tracing dogs to breeders. This is what Berkey and the rest have created for breeders. When lives are lost and blood is shed, that attracts a lot of attention that the shady world of dog breeding does not desire, but dog breeders in their desperation for any ally to help them avoid regulation will support. Berkey and the rest have done nothing but destroy the "reputation" of pit bulls and call attention to their savagery, as well as help increase the numbers of pit bulls that are homeless, abandoned, back yard bred, and generally abused. Whatever they think they are trying to accomplish (whether to "help" pit bulls or help the breeders,) they are actually accomplishing the exact opposite. "If DNA was the be all and end all, all of Secretariat's foals would be champion and win the Triple Crown. They don't." What a ridiculous statement. of course not every one of Chinaman's offspring will go onto be a pit winner but overwhelming, they WILL fight. "Unlike the Thoroughbred racing community, which embraces bloodlines and genetics, VanKavage and pit bull advocacy groups insist the pit bull's genetic heritage of dogfighting is inconsequential." The people who truly understand pit bulls (ie the dog fighters) embrace bloodlines and genetics 100% of the time, unlike VanKavage et al who conveniently choose to ignore genetics when it suits their argument. Ledy and Tom Garner only own pit bulls. why? because they are genetically different from other dogs. some pit bull owners claim to be drawn to loyalty, some – gameness, but they do share one commonality: they wouldn't even consider owning a poodle or pomeranian. "Even if VanKavage and her friends succeed in stopping research in the United States, they’d have to have a stranglehold on the entire world-wide scientific community to prevent identification of the genotype associated with impulsive aggression in dogs from happening — and soon." I don't think even BERKEY has that much money! "Why isn’t VanKavage interested in the pit bull lives such progress might save?" I think the VanKavage camp has more in common with the dog fighters than anyone realizes. this is an absolutely brilliant expose of these two dangerous lunatics. I concur with CravenDesires, "This is an absolutely brilliant expose of these two dangerous lunatics…." Excellent research. Thank you so much for doing this. You know the saying "A house divided against itself cannot stand?" The Pit Community should embrace CODIS and use it to eliminate the man killing genes from the pool. "I've bred some good dogs in the past and have studied genetics for many hours. I've come to the conclusion that The best dog breeders have two strains or bloodlines of dogs that cross well together. Racehorse people call it a nitch. I call it a click. I tell everyone the trick is in the click. I had a neighbor who was a veterinarian and a racehorse man. He came to me and we talked about how I bred good dogs years ago. He was new at horse breeding and he followed some of my advise and became very good at breeding good race horses. He won lots of races at remington park here in Oklahoma." Wonderfully ironic given VanKarnage's Secretariat quote. Very interesting story and it is illuminating how the no gene for the breed has changed to lets not find the gene. 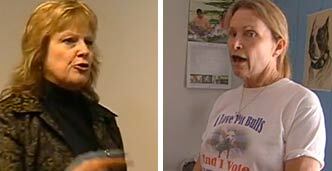 One story I am waiting to see is the PSYCHOLOGY of these women who fight to protect pitbulls. I know they use denial to ignore research, and they diminsh the severity of attacks and blame victims, but what attracts them and other women to raise these dogs. My personal experience is women who own these dogs thinks it gives them some interesting and unique to present about themselves.. as if they were saying they were skydivers, or karate experts, or rock climbers. They like to see how people will react to their admission of owning several pitbulls. Individual families that take in this breed and believe that their pet can't be like the ones that attack.. I would love to know what screws are loose in the grey fiber of this group too. The Racheal Rays of the world have got to have some genetic problems, too.